This example was tweeted by Donald Trump during the 2016 Presidential campaign. Fact checking site Politifact posted an analysis of these statistics and rated it "pants on fire." Image is meant to provoke fear, and feeds racist narrative of violent young black men. Statistics do not account for the much smaller proportion black Americans versus the overall population. If proportion is taken into account, black Americans are 2.5 times more likely to be killed by police than whites. Statistics available for 2015 from the FBI demonstrate that these numbers have been reversed. Approximately 81% of whites were killed by whites, approximately 16% of whites were killed by blacks. 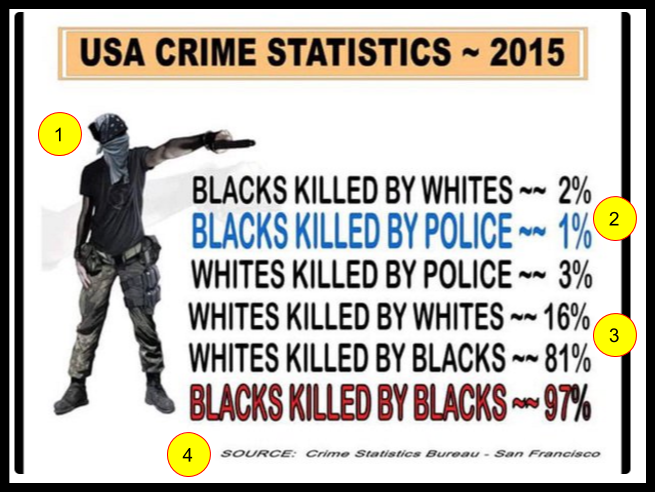 There is no such entity as the "Crime Statistics Bureau," the creators of this graphic co-opted the visual indicator of an authoritative source in order to mislead their audience. 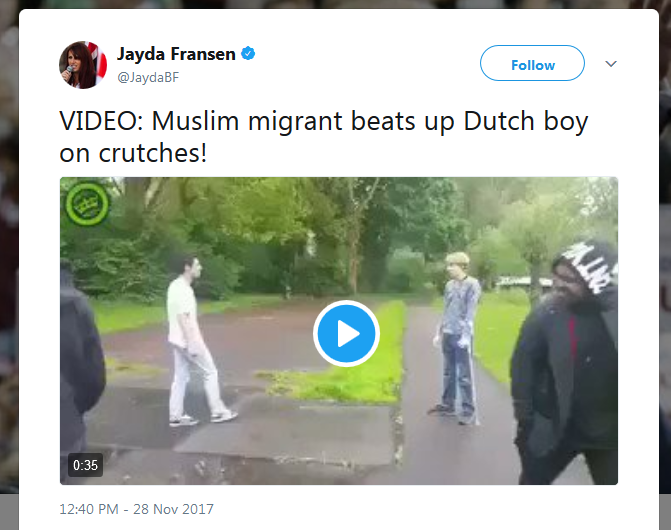 Jayda Fransen, Deputy Leader of Britain First, an ultranationalist hate group, tweeted a video with the caption: "Muslim migrant beats up Dutch boy on crutches!" This video was one of three posted to portray Muslims as violent and dangerous. President Trump retweeted this video the following morning. The Washington Post (2017 Nov 29) reported "According to Dutch police, both teenagers were arrested May 13, 2017, after the video surfaced on Dumpert, a Dutch video-sharing site the day before. Neither the police nor news reports identified either teenager as a Muslim or as an immigrant." The Netherlands Embassy responded to Trump's retweet with "Facts do matter. The perpetrator of the violent act in this video was born and raised in the Netherlands..."
White House press secretary Sarah Huckabee Sanders defended Trump's retweeting of the Britain First videos, saying "that whether the inflammatory videos are real or not, 'the threat is real.'" The Seattle Tribune is a fake news site, modeled to look like a legitimate news website. 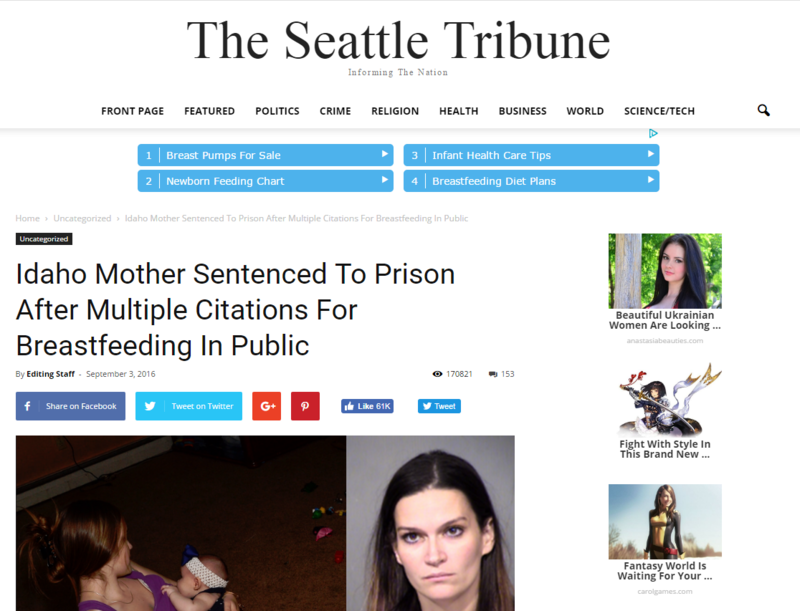 The fake story of an Idaho mother sentenced to prison for breastfeeding continues to be shared on Facebook. Politifact's analysis describes the many falsehoods of the article, including the mugshot, a woman arrested in Arizona. 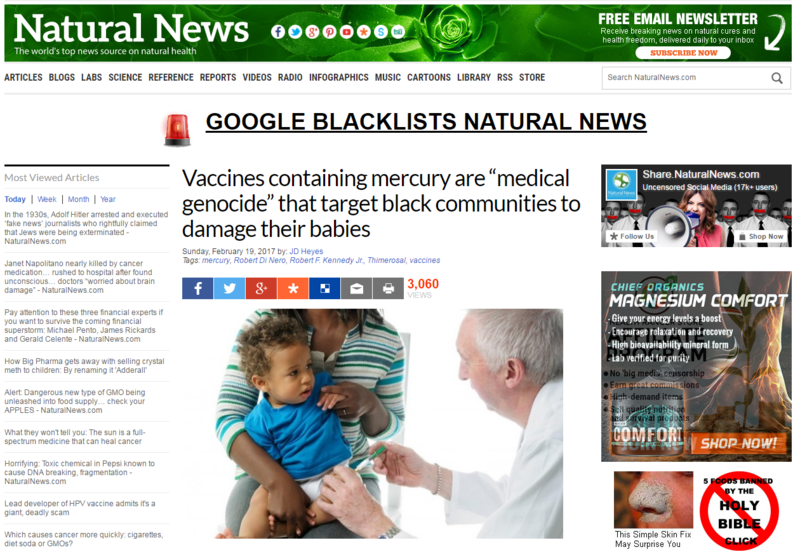 Since 2003, Natural News has been dealing in conspiracy theories, particularly around vaccines. This article demonstrates the common technique of adding multiple links to appear as though the news story is presenting evidence from outside sources, but the links take the reader to other articles on the Natural News site, or other suspicious sites such as cdc.news or medicine.news.